Estate Settlement by Atlantic Appraisals Inc.
Estate settlement is often stressful, but a very important job. 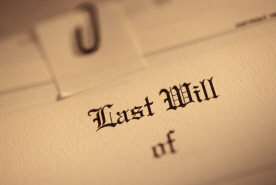 It's up to you as an executor to carry out the wishes of a loved one as quickly and with as much dignity as possible. You can count on us to respond quickly and with as much understanding to the feelings of everyone left behind. We've made a name for ourselves in providing excellent appraisals that attorneys, lenders and accountants have come to depend on. We understand their needs and are accustomed to helping with all parties involved. In relation to our familiarity in working with the courts and various agencies, we write appraisal reports that definitely exceed all expectations. Commonly, settling an estate necessitates an honest appraisal report to suggest market value for the property. It's understandable that ordering an appraisal is the farthest thought from your mind. Due to this, there is a chance that the time of death differs from the time the appraisal is ordered. Atlantic Appraisals Inc. assures that our staff is comfortable with the procedures and requirements requested by revenue services to produce a retrospective appraisal with an effective date and market value estimate matching the exact date your loved one passed away. The ethics provision explained within the Uniform Standards of Professional Appraisal Practice (USPAP) keeps our appraisers to confidentiality, certifying the fullest degree of discretion for you and your loved ones. One of the most essential requirements in an appraisal report is an appraiser-supported opinion of value in an exhaustive reason as to how the appraiser came to his conclusion. Such a report will definitely demonstrate to the Pennsylvania agencies that the conclusions reached are well-founded and substantiated. As executor you can be assured that working with us you are working with knowledgeable, professional appraisers that have a servants heart. If you have any questions please feel free to reach out to us as we are happy to help.